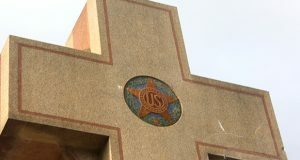 American Legion urges Supreme Court to overturn a decision that a war-memorial cross in Bladensburg violates the constitutional separation of church and state. 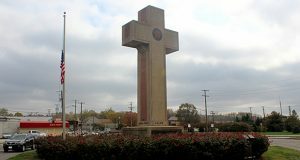 In a final plea that the Supreme Court hear their appeal, defenders of a 40-foot cross erected as a war memorial in Bladensburg told the justices the monolith represents noble patriotic sacrifice and is not an unconstitutional governmental endorsement of Christianity, as a lower court has ruled. 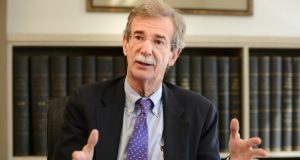 Maryland Attorney General Brian E. Frosh may have waited too long to challenge in the U.S. Supreme Court a federal appeals court ruling that a 40-foot cross erected more than 90 years ago as a war memorial on state-owned land in Bladensburg violates the constitutional separation of church and state, his re-election foe said Friday. Maryland contends the Constitution does not apply because the memorial cross essentially belongs to a private entity, The American Legion, though owned by a governmental agency. 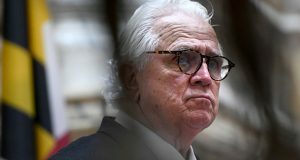 The president of Maryland’s Senate and seven colleagues are urging the U.S. Supreme Court to review and overturn a lower court’s 'utterly unrecognizable' decision.